Mother’s Day is always thought of as a time to remember those who taught us about life and raised us from infancy to adulthood. It’s hard to deny that mothers carry the spirit to nurture and teach. Those lessons are not for temporary moments in time, but they build a foundation for our family and community. For one mother, sharing advice and her life lessons on giving have inspired one her daughters to build a bond that can help others in life. Peggy has committed to helping others through blood donation since 1992. She tries to donate three to four times a year at mobile blood drives near her community or at the Scott & White Blood Center in Temple. She admits that it wasn’t an event that prompts her to give or because of some traumatic event, she simply feels it’s a duty to help others especially since there is an ongoing need for blood. 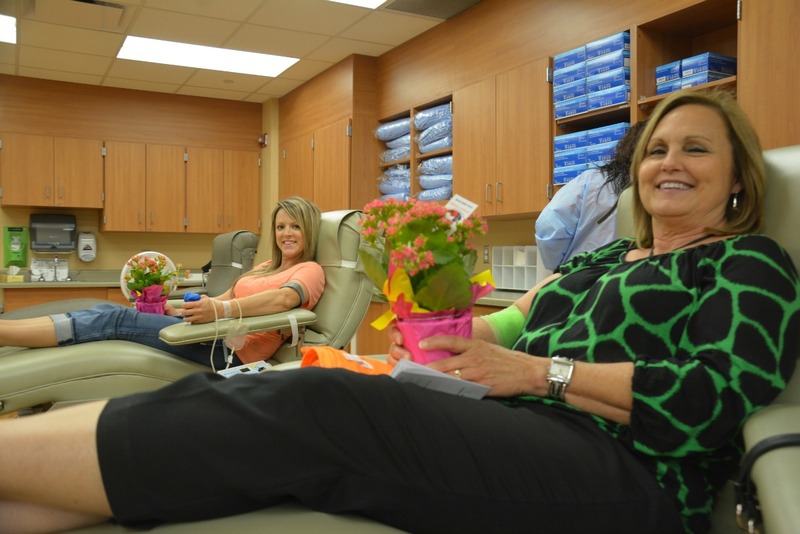 Kim, the youngest of Peggy’s four children, decided to join her mom in giving blood. Since 2003, they both have been participating in blood drive events together when they can. Kim says mom has taught her a lot about life and most of it involves laughter. Now as a mother of three, she remembers all the things her mother shared and now gets to relive some of those moments with her mom and children. “I love watching her play with my kids and she is always fun,” said Kim. Aside from laughter and fun times, mother and daughter share common bonds, which Peggy says it’s built on a belief in God and respect for one another. For Peggy, the respect of life is one of the most important things to her, which motivates her to give blood. With it being close to Mother’s Day, she finds this time with her daughter a little emotional as she recalls the many lessons she shared with her daughter. Through her nurturing spirit, now they both have committed themselves to making a difference to people whom they may never know or meet. She still has one more lesson about giving blood and she wanted to share to anyone who will listen. “It’s not hard to do and doesn’t take long,” said Peggy.